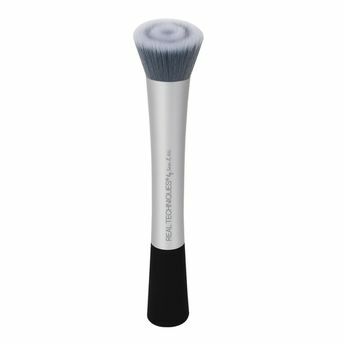 The Real Techniques Complexion Blender Brush has a unique swirled cut for blending skin care products with your favourite makeup for a smooth, natural complexion. 2 bristle lengths help build lighter layers for an even finish. 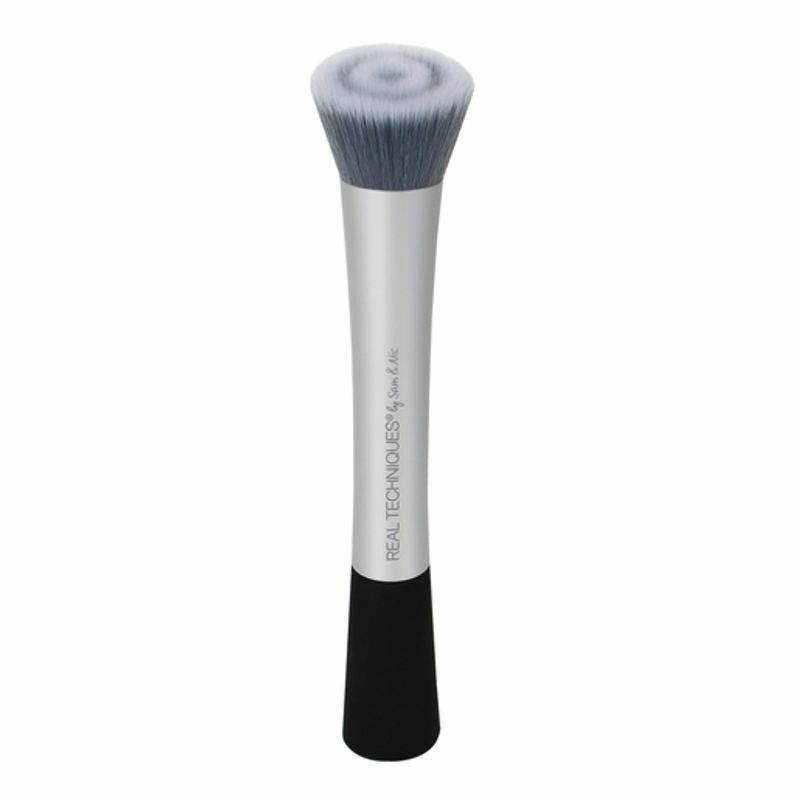 The long bristles lightly apply and the shorter bristles blend ideal for blending together moisturizers, primers, or serums with foundation, concealers, or bb/cc creams.